Tokyo and New Delhi agreed to major deals Saturday, including the introduction of Japan’s bullet train technology to India and an agreement on nuclear cooperation. The bilateral accord was reached during talks in New Delhi between Prime Minister Shinzo Abe and his Indian counterpart, Narendra Modi. “This enterprise will launch a revolution in Indian railways and speed up India’s journey into the future. It will become an engine of economic transformation in India,” Modi said after the talks, referring to the introduction of Japanese shinkansen technology in building a high-speed railway in India. “This project befits the start of a new era for (ties between) Japan and India,” Abe said. The two countries also agreed on a civil nuclear cooperation pact. Sensitive negotiations had continued for five years on exporting Japan’s nuclear power plant technology to India, with one of the sticking points being whether Japan could ensure that its nuclear technology would not be diverted for military use. India, despite being a de facto nuclear weapons state, has not joined the Nuclear Non-Proliferation Treaty. “Japan is promoting (nuclear) nonproliferation, given the history of Nagasaki and Hiroshima, while India is outside the NPT framework but wants to cooperate on nuclear power generation,” one Japanese official said while noting Japan is the only country to have suffered atomic bombings. Abe and Modi plan to boost security cooperation between the two nations and exchange views on regional issues such as the situation in the South China Sea, Japanese officials said. While Japan and India are not directly involved in the tensions in the South China sea, a key shipping route for oil and other imports, they are both concerned over the freedom of navigation in international waters. China claims almost the entire South China Sea and has competing territorial claims with Vietnam, the Philippines, Brunei, Malaysia and Taiwan. Beijing’s fast-paced and massive land reclamation work has made the smaller Asian claimants uneasy. Seeing India’s potential value to Japan, both on the economic and political fronts, Abe has touted the importance of strengthening bilateral ties to help maintain peace and stability in Asia. Abe’s latest trip to India is his third visit as prime minister. The shinkansen technology will be applied to a planned 500-km-long high-speed railway that will link Mumbai and Ahmedabad in western India and take roughly two hours. Japan, which is seeking to spur its economy through infrastructure exports to Asia, is looking to play catch-up after losing out to China in its bid to secure a key high-speed railway contract in Indonesia in October. Construction of the Indian railway project, which is estimated to cost 980 billion rupees ($14.6 billion), will begin in 2017, with the aim of starting operations in 2023. Japan has sounded out India about a plan for Tokyo to provide yen loans on the premise that the railway contract will be given to a consortium of Japanese firms, a Japanese government source said. The two leaders also signed others pacts, including one that allows the transfer of defense equipment to India and another on data protection, which allows the exchange of defense-related information. The moves reflect Tokyo’s desire to forge closer ties with New Delhi due to China’s muscle-flexing. When Modi visited Japan last year, Abe vowed to extend ¥3.5 trillion in public and private investment and financing to India over five years for development. Japan also pledged a ¥50 billion loan to India for a public-private partnership infrastructure project. May: E U; Japan; Belarus; India; Ireland; Vietnam; Brazil; Colombia, Peru, Chile. June: Pakistan, Senegal; French Polynesia; Angola; Sri Lanka; Georgia; Myanmar, Maldives; Uzbekistan; Australia; Czech Republic; Poland; Belgium; USA; Brazil; France. Some of these were when senior foreign politicians visited China, others when senior Chinese politicians visits abroad. 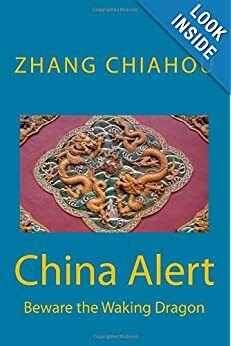 In 2014, China wooed 167 nations – https://chindia-alert.org/2014/12/31/chinese-diplomacy-2014/ and over 100 in 2013 – https://chindia-alert.org/2013/12/31/who-did-china-woo-in-2013/. So far 62 in 2015. 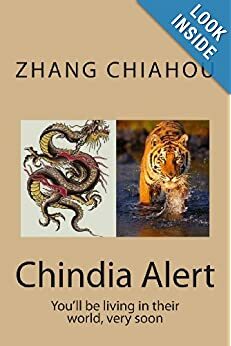 Someone in the higher eschelons of Chnese government must have read and espouse Dale Carnegie’s book! “Less than two months after returning from a journey that took him to China, South Korea and Mongolia, Indian Prime Minister Narendra Modi begins another whirlwind overseas tour on Monday in which he is slated to visit five Central Asian countries, attend two multilateral summits in Russia and talk about issues ranging from trade to yoga to terrorism. In a series of short trips, Mr. Modi will touch down in Uzbekistan, Kazakhstan, Turkmenistan, Kyrgyzstan and Tajikistan, covering a cluster of strategically-positioned, resource-rich nations not far from India’s borders where China has established robust trade and investment ties. In between, he’ll visit Russia for the annual Brics summit. Mr. Modi’s main focus is going to be energy: Turkmenistan’s natural gas reserves, for instance, and Kazakhstan’s oil and uranium. In recent years, India’s plans to invest in Kazakhstan’s oil projects have been waylaid by proposals from China, which has a major presence in the country’s oil and gas production. Efforts to ramp-up the flow of these resources to India have also been complicated by the region’s security risks and geopolitics. A long-pending project with Turkmenistan, for instance, involves constructing a gas pipeline from that country over Taliban-hit Afghanistan and across India’s rival neighbor Pakistan, to India. The Indian government is looking to kickstart work on the pipeline. In April, during a visit by India’s foreign minister, Sushma Swaraj, Turkmenistan pledged to begin construction of it this year, India said. Ahead of Mr. Modi’s departure, Navtej Sarna, an Indian official, said on Friday that the government “will have to explore how we can move this project forward very quickly,” though he didn’t elaborate on how much progress Mr. Modi and his team were expected to make. It’s not just the pipeline. Mr. Modi is hoping to push other infrastructure projects too that would connect Central Asia to India – regions that are not far apart on the map but have remained inadequately linked by roads, railways and ports, diminishing opportunities for trade and investment. A North-South transport corridor that would help move cargo through a more straightforward and cheaper route between Russia and Central Asia on the one hand and India on the other has been in the offing for years. While some infrastructure has been built, big gaps remain. Mr. Modi is hoping to recruit more partners to help fill them. One crucial link country in this plan is Iran, which has been off limits because of Western sanctions aimed at driving Tehran to end its nuclear program. As Iran and its U.S.-led opponents moved toward a deal this year that would end the deadlock, India in May sought to reinvigorate a port project in Iran’s eastern Chabahar region. Once completed, the port would become a central part of the planned corridor. These questions of connectivity are important for India’s trade prospects, but they also have a geopolitical significance. China has in recent months stepped up its diplomatic outreach for its new “Silk Road” belt connecting it to Central Asia and Europe. On a visit to Islamabad in April, Chinese President Xi Jinping unveiled a $46 billion economic corridor that would cut across Pakistan and a disputed territory governed by Pakistan that India also claims. Indian officials have objected to the initiative, both publicly and in meetings with Chinese officials. 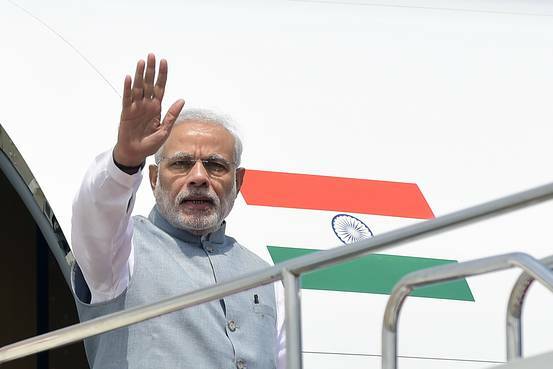 via Narendra Modi’s Visit to Central Asia: What to Know – India Real Time – WSJ.